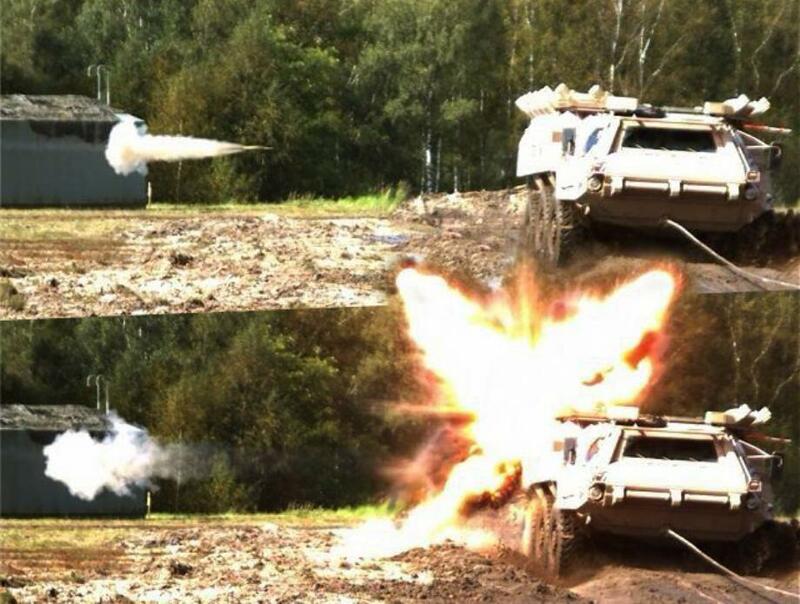 The Army is fast-tracking an emerging technology which gives combat vehicles an opportunity identify, track and destroy approaching enemy rocket-propelled grenades in a matter of milliseconds. 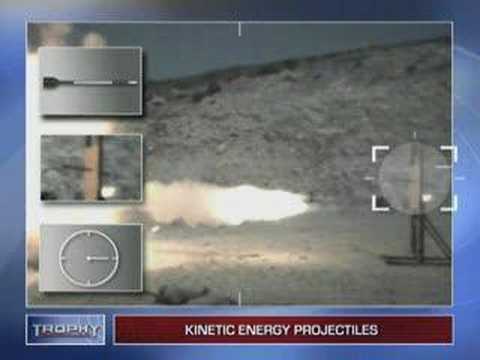 Called Active Protection Systems, or APS, the technology uses sensors and radar, computer processing, fire control technology and interceptors to find, target and knock down or intercept incoming enemy fire such as RPGs and Anti-Tank Guided Missiles, or ATGMs. 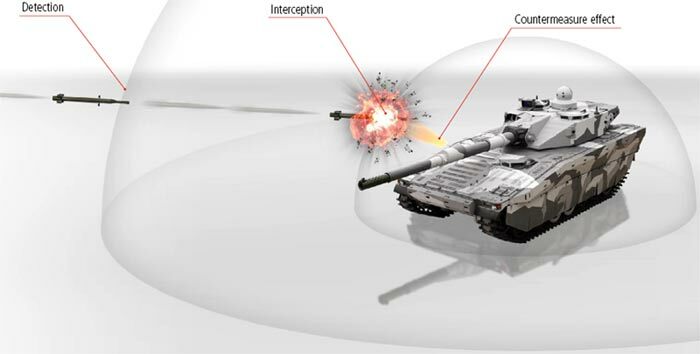 “The Army is looking at a range of domestically produced and allied international solutions from companies participating in the Army’s Modular Active Protection Systems (MAPS) program,” an Army official told Scout Warrior. 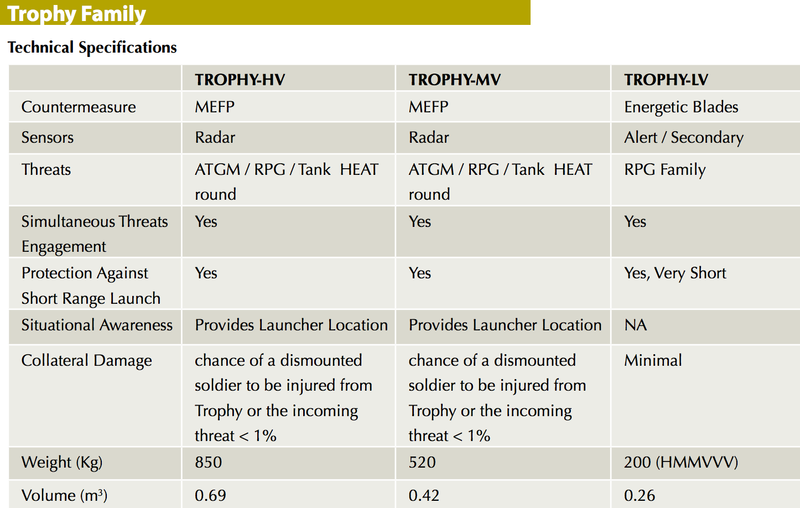 The idea is to arm armored combat vehicles and tactical wheeled vehicles with additional protective technology to secure platforms and soldiers from enemy fire; vehicles slated for use of APS systems are infantry fighting vehicles such as Bradleys along with Stykers, Abrams tanks and even tactical vehicles such as transport trucks and the emerging Humvee replacement, the Joint Light Tactical Vehicle. 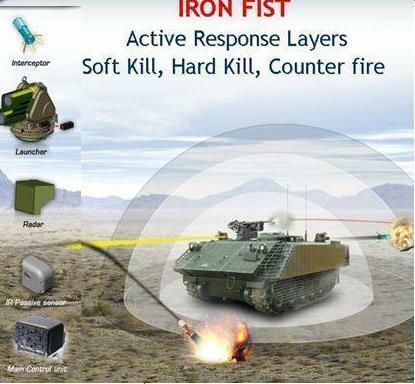 The US Marine Corps plans to buy the Israeli Trophy Active Protection Systems for M1 Tanks. Using a 360-degree radar, processor and on-board computer, Trophy is designed to locate, track and destroy approaching fire coming from a range of weapons such as Anti-Tank-Guided-Missiles, or ATGMs, or Rocket Propelled Grenades, or RPGs. Trophy intercepts and destroys incoming missiles and rockets with a shotgun-like blast. Trophy is the product of a ten-year collaborative development project between the Rafael Advanced Defense Systems and Israel Aircraft Industries’ Elta Group. Its principal purpose is to supplement the armor of light and heavy armored fighting vehicles. In June 2014, Rafael unveiled Trophy LV, a lighter application of the system designed to offer protection to light military vehicles (less than 8 tons) such as jeeps and 4x4s. It weights 200 kilos, significantly less than other Trophy applications.